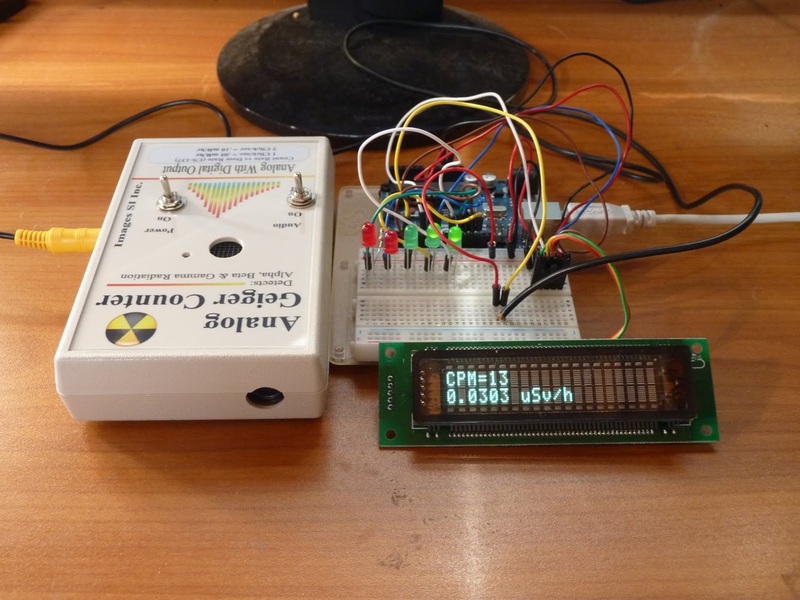 As you can see in the picture, the GCK-02 is a analog Geiger counter. It only makes a beep and a red LED flashes every time a particle is detected. Luckily the model comes with a Digital Out which provides a TTL logic high pulse each time a radioactive particle is detected. An Interrupt Service Routine (ISR) counts the pulses per minute, calculates the radiation level in microsieverts and updates the display. The LED are a visual indication if the amount of radiation received is a harmful dosage.